The Lady Cubs of Brownfield found themselves another win Friday night against Littlefield 37-31 and tonight they will travel over to Shallowater to take on the #8 Fillies for the second time. The Lady Cubs lost to Shallowater 61-24 in their first district game. That doesn’t mean that will happen again. The Lady Cubs come into this game tonight with nothing to lose and everything to gain, so we all know that an upset could be in the making. The Horse Shoe at Shally will be filled to the brim and the Fillies will be too much. Tonight has become a most anticipated game between the #18 Brownfield Cubs and the #9 Shallowater Mustangs. Of course, this game would most likely mean more if Brownfield had not been upset by Denver City. The Cubs come in tonight 7-2 in district play and tied with Abernathy for second place and Shallowater is at the top at 9-0. If the Cubs come out strong and play all four periods they can have a chance to knock down the Mustangs. That would mean Shallowater would need to lose one more to be tied with Brownfield if the Cubs win out. However, like the girls game, Shallowater has a huge crowd and the Stangs are playing some great basketball. The Cubs will come home 7-3. The #16 Denver City Fillies got back to winning with a 44-19 win over Abernathy on Friday evening. Now they travel over to Idalou to take on the #3 Lady Cats. The first district game the Fillies fell at home 38-31. The Fillies need to come in tonight with a chip on their shoulders so that they have a chance to tie up a second-place slot with Shallowater. There is a lot of pressure on the Lady Cats to continue winning and staying undefeated, but even being #3 in the state you can still lose a district game. I taking the upset tonight and thinking the Fillies will come home with a win. If the Denver City Mustangs are going to want to see a postseason, tonight’s game will begin that process. The Mustangs have already beat Idalou once 69-58 and they can do it again. D.C. has become that thorn in the side of the other schools, just ask the #16 Brownfield Cubs. 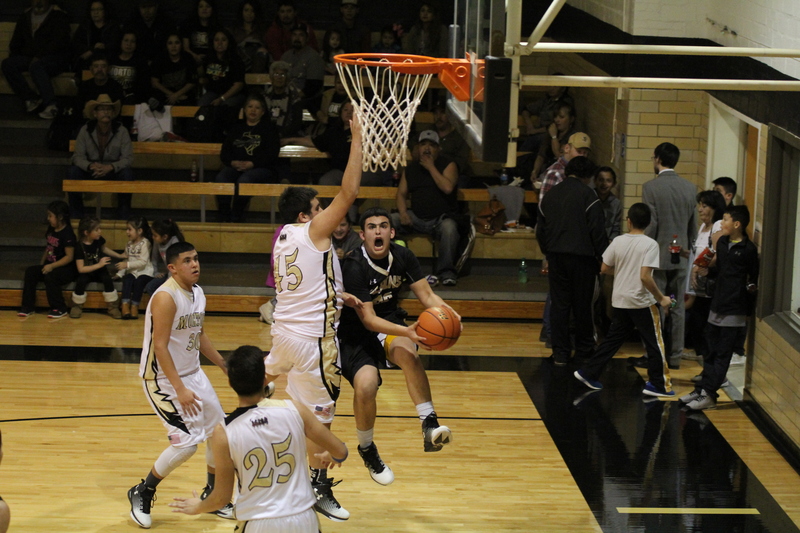 The problem is not so much this game tonight against Idalou, its the last four games that they are worried about. The Mustangs need to come in tonight with confidence and play their game and worry about the present. The Stangs will come home with a win tonight. The Plains Cowgirls needed some much time off and perhaps got some rest after not having a game last week. 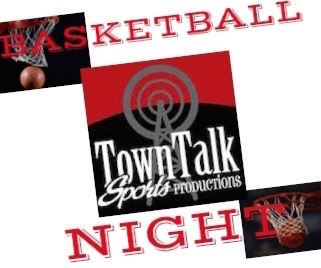 Tonight they travel over to Tahoka to add one win to their 1-4 district record. Tahoka is looking to add one more win to their 1-5 district record. Obviously, both teams are sitting at the bottom of district and share the fourth place spot. The Cowgirls won the first match-up 43-31and look forward to the same outcome. Both teams will fight to the finish because the fourth place and final playoff spot is on the line. The Tahoka Bulldogs come in tonight 3-1 in district while the Plains Cowboys come in 2-2 in district. Like the girls game, both these teams will be fighting for better position when it comes to the playoffs. Tahoka won the first time 57-50 and they will be at the Dog House tonight. Plains will get into the playoffs, however, they will not be the second place team. Its been a rough season for the Meadow Lady Broncos and in fact, it has been an uncommon season for the Lady Broncos. They have not won one district game thus far and will most likely lose tonight against O’Donnell. Of course, this is why you play the game. The Lady Broncos will have to give all they have in order to upset O’Donnell. The Lady Eagles are just too much. The last time the Broncos and O’Donnell met up Meadow came home with a two-point victory 36-34 and putting them in a great postseason position. However, with the Ropes Eagles dropping one to O’Donnell and then Meadow dropping one to Wellman-Union and another one to Ropes on Friday night and with Wellman-Union taking a loss to O’Donnell on Friday night also, things have gotten a bit sketchier for the Broncos. They are sitting now tied for the third spot in Dist. 7-1A with Wellman-Union 2-3, while O’Donnell and Ropes sit at 4-1. O’Donnell is looking for some redemption from the last game and the way they handled WU, they are serious about a win. O’Donnell will take this one tonight in another low scoring match-up. To be honest, there is really only one thing between the #2 Ropes Lady Eagles and a State Title, and that thing is the #1 Nazareth Swiftettes. But tonight, even though they have clinched a playoff spot, the Lady Eagles will focus on another district opponent named Loop. This will be a good resting type game for the Lady Eagles. The Ropes Eagles will also take on Loop. This will be similar to the girls games.